Sony and Dish may have trouble appealing to cord cutters with their upcoming Internet TV plans, which will reportedly be more expensive than expected. Sony's Web TV plan could cost $60 to $80 per month, unnamed sources told the New York Post, making it no cheaper than a traditional cable plan. Dish, meanwhile, wants to offer a small bundle of channels for $20 to $30 per month. But as Variety reports, that price tier probably won't include broadcast networks such as NBC, CBS, and FOX. Dish wants to offer those channels as an additional service, but it's unclear if the networks are willing to be part of a premium subscription tier. Subscribers may have to use an antenna to get the channels instead. Why this matters: This is just the latest in a series of failed attempts to break up the traditional cable bundle. Last year, Intel talked up plans for an Internet TV service, but eventually scrapped the effort and sold the technology to Verizon, whose own efforts appear to be in flux. Apple reportedly spent years trying to build a TV service, but never secured the necessary content deals. Compared to other companies, Sony and Dish seemed to be further along in the process of building Internet TV services. Last month, Sony announced a deal with Viacom to carry 22 channels including MTV and Nickelodeon, while Dish struck a deal with Disney (which owns ABC and ESPN) in March. Still, getting other content providers on board has apparently been a challenge. As Variety notes, Dish still hasn't reached deals with CBS, NBC or Fox. And while Sony reportedly wanted to offer smaller packages of channels for less money, “they’ve had no success in doing that and they’re licking their wounds,” one source told the New York Post. The source added that Sony “got creamed in negotiations,” leading to the much more expensive service. 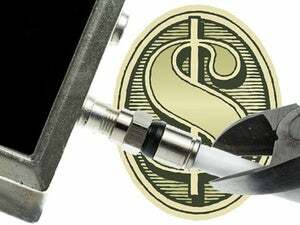 Pay TV providers are nonetheless starting to feel the effects of cord cutting. Last year, overall subscriptions fell by more than quarter million according to SNL Kagan, marking the first full-year decrease for pay TV. At the same time, the number of households that don't have cable is increasing. Eventually it'll make sense for networks to address the cord cutting market, but they're clearly not eager to offer anything that will make lots of cable subscribers jump ship.